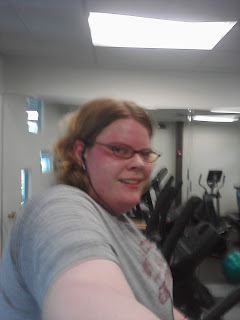 I took this while working out on April 8, I thought it would be fun to have a pic of me working but it didn't quite work out as planned...this was pic 5. 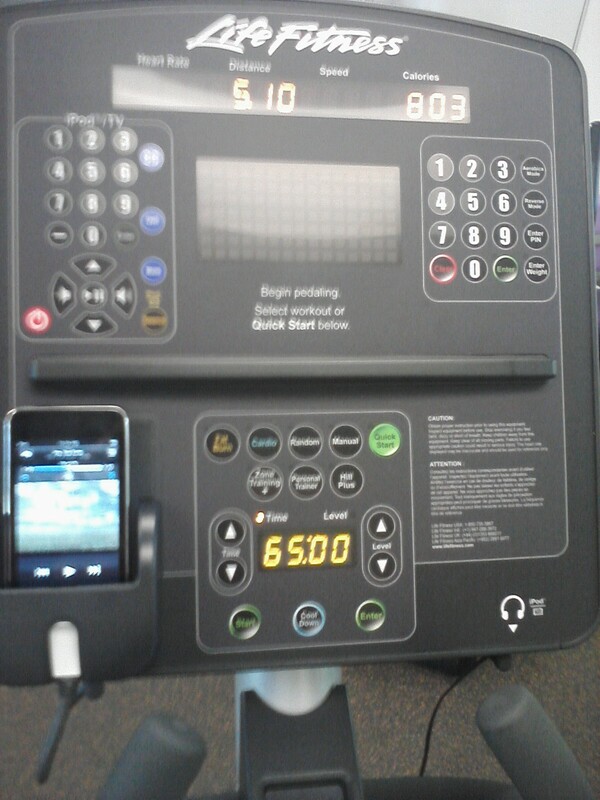 Hard to hold a phone still while still working, lol. 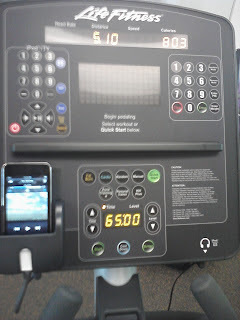 April 30 I tried my first 5 miles! 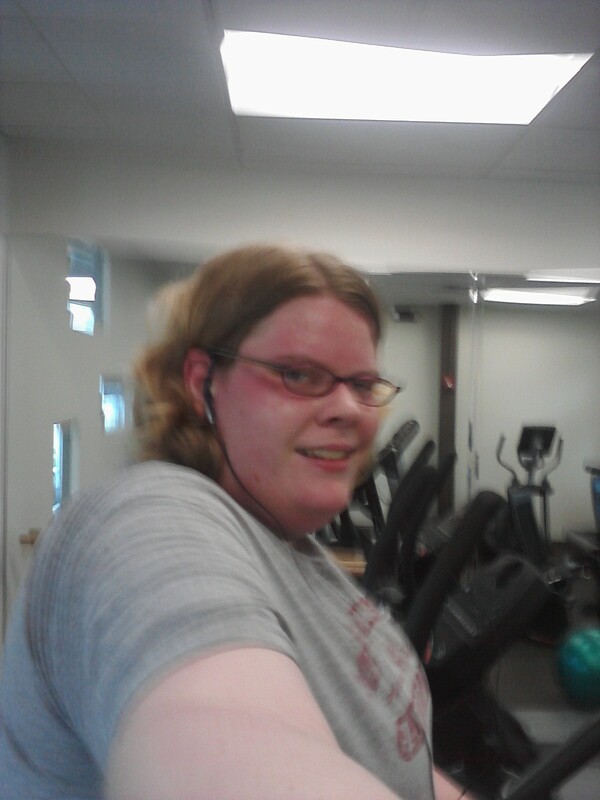 Felt great afterward too! A peanut butter and banana smoothie that is a favorite! One Banana, 1 Tbsp. Peanut Butter, and 10 oz. Milk. Chicken with a mango salsa and avocado, with coleslaw. So Good!!! Turkey Ruben, Macaroni Salad, and a Banana. Great lunch. Scrambled Egg cups with a banana and juice. Broccoli Soup and a BLT. Another yummy lunch! Turkey Wellington, Mashed Cauliflower, and a Green Giant Just for One Veggie. Such a classy dinner! Spaghetti with Meatballs, Gooey Garlic Cheese Bread, and Salad with Fat Free Ranch. After today's workout. 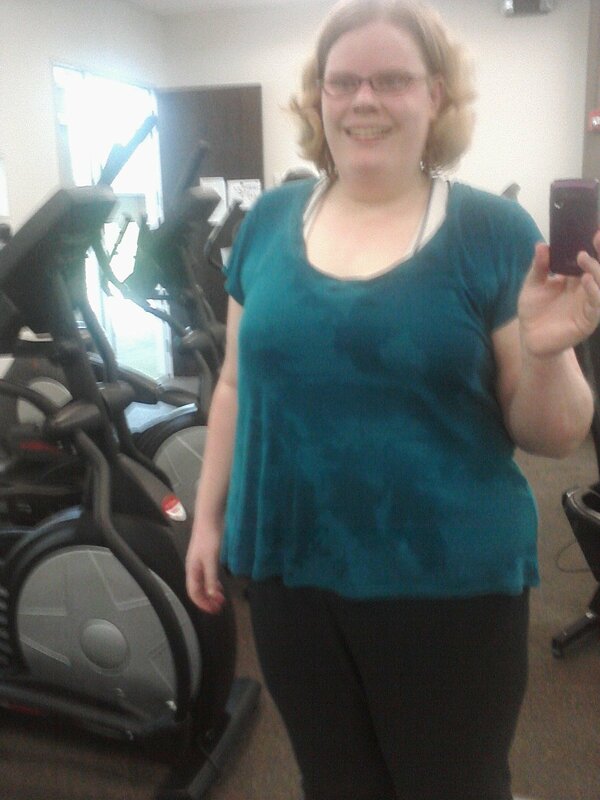 I think I sweat my weight out in this hot weather!